Drawing from four decades of experience as a Christian community developer in Atlanta, Robert Lupton delivers a sharp critique of the “compassion industry:” charitable organizations, congregations and individuals that engage in top-down, one-way giving. He argues that even though charity is “almost universally accepted as a virtuous and constructive enterprise,” the economic, cultural and emotional outcomes on the receiving end of charity go largely unexamined. 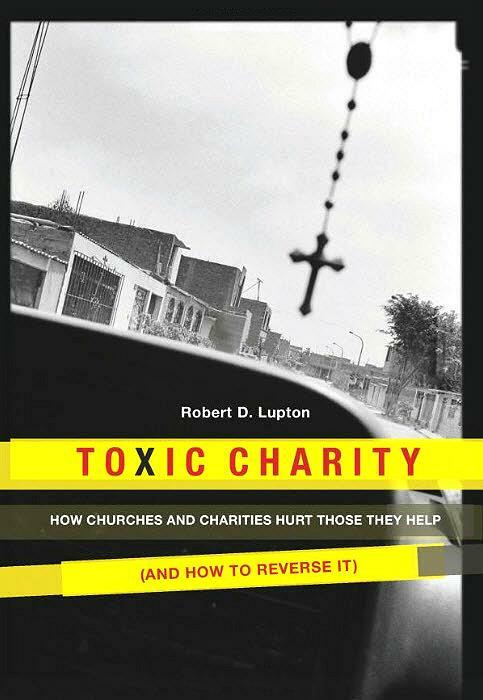 In Toxic Charity: How Churches and Charities Hurt Those They Help (And How to Reverse It), his anecdotes bring to light the ways in which one-way giving can inadvertently promote toxic results, such as dependency, deception and disempowerment. A proponent of asset-based community development, Lupton also highlights examples of charity that strengthen communities and promote self-reliance. His description of the food cooperative model as an alternative to the traditional food pantry is particularly powerful. You can find a video about the Georgia Avenue Food Cooperative here. Toxic Charity is only 208 pages long, but provocative and challenging, making it required reading for anyone who is involved with emergency feeding or other charity work. This article originally appeared in the Clearinghouse Connection, the monthly e-newsletter of the National Hunger Clearinghouse, which facilitates the exchange of information, resources and ideas among emergency food providers. 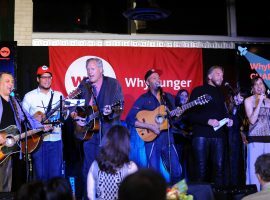 To subscribe, email nhc@whyhunger.org. The National Hunger Clearinghouse collects and distributes information about programs that address the immediate and long-term needs of struggling families and individuals. The National Hunger Hotline (1-866-3 HUNGRY and 1-877-8 HAMBRE), refers people in need of emergency food assistance to food pantries, government programs, and model grassroots organizations that work to improve access to healthy, nutritious food and build self-reliance. The Hotline is funded in part by the USDA Food and Nutrition Service, and is available on Monday through Friday from 9am-6pm EST. Hablamos español. Learn About Joe D’Urso’s Rockland-Bergen Music Festival!